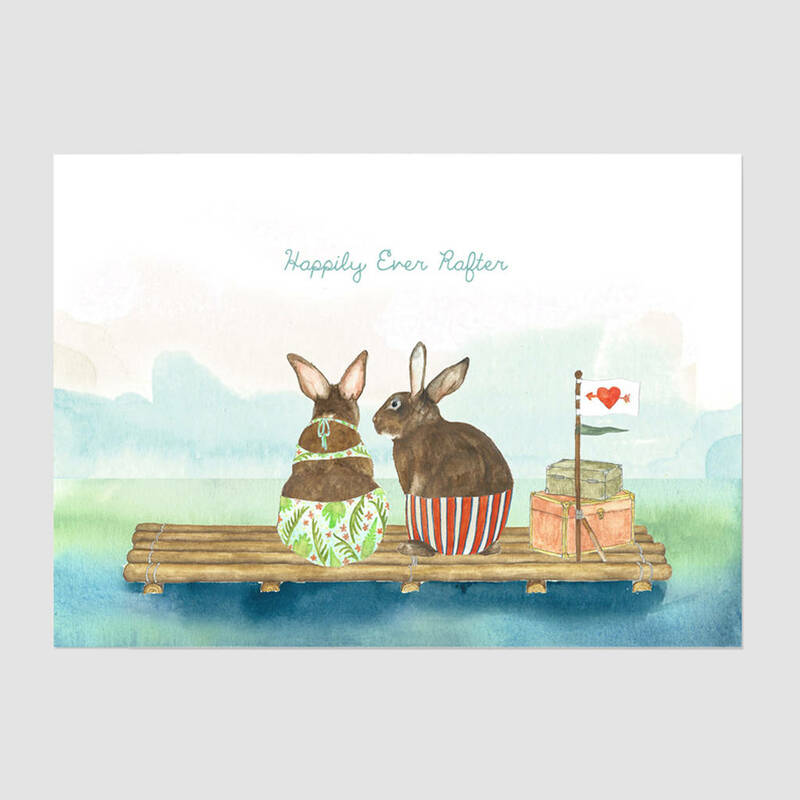 Sailing off into the sunset with these love bunnies. A perfect wedding gift for those newly weds or your favourite rabbit. Open edition digital print on textured thick white paper. 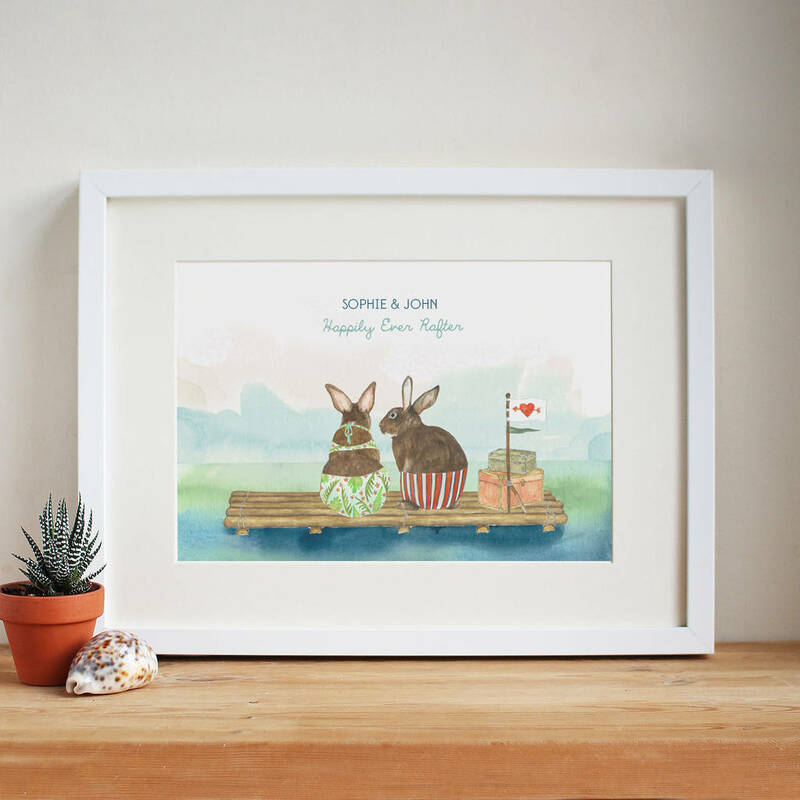 You can choose to personalise this print with the happy couple's names. From an original watercolour pencil illustration of a funny bear that is not so good with directions. Delivered in a solid board envelope and packed with backing board to reach you safe and sound. Your print will come stamped and signed by the artist. The print comes unmounted and unframed. Available A4 or A3 size. 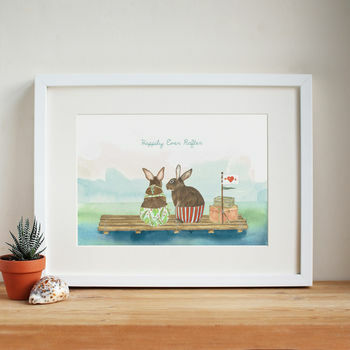 Both standard sizes for framing. Printed on high quality 300gsm textured watercolour paper. This product is dispatched to you by Mister Peebles.